Cloudy with rain ending for the afternoon. Windy at times late. High 51F. Winds N at 20 to 30 mph. Chance of rain 90%. Higher wind gusts possible..
Cloudy early with some clearing expected late. Low 41F. Winds NNW at 10 to 20 mph. Shawn Colvin - 8 p.m. Wednesday, The Pageant in St. Louis. Doors open at 7 p.m. $30. Garrison Starr will open. 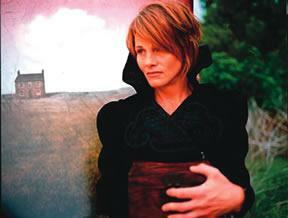 Shawn Colvin is coming back to her old stomping grounds. A three-time Grammy Award winner, the 52-year old Colvin is a graduate of Carbondale Community High School and had a popular high-powered rock band while she attended Southern Illinois University Carbondale in the late 1970s. Then, she migrated to the music mecca of Austin, Texas, to play western swing with the Dixie Diesels. Over the next 25 years, she would refine and polish her sound to perfection, becoming a contemporary music icon with tunes like "Round of Blues," "I Don't Know Why," "Whole New You" and "Steady On" to her credit. Teaming with old Austin ally Buddy Miller, a dynamic lead guitarist who delivers instantly identifiable licks, Colvin will travel throughout February along the East Coast with "trio" partners Emmylou Harris and Patty Griffin on the 3 Girls and Their Buddy Tour. It was the "trio" concept that lifted Colvin from regional obscurity to national fame in 1988. She had built a solid working relationship with Mary Chapin Carpenter. They frequently appeared on one another's records, but the breakout moment occurred when songwriter Cheryl Wheeler was added to the mix for a critically acclaimed concert at the Birchmere in Alexandria, Va.
"I'm lucky," Colvin says. "I built my career really slowly, started small, very intimately. I just toured a lot, the whole grassroots thing. I didn't have a hit until I was well into my recording career." Colvin captured her first Grammy in 1991 when "Steady On" won for Best Contemporary Album. In 1998, she earned two more Grammys when "Sunny Came Home" was selected for Record of the Year and Song of the Year. She has been nominated for six other Grammys. Born in South Dakota, she grew up idolizing Joni Mitchell. She was a true Terrier and Saluki before eventually graduating from the University of Texas at Austin. Her eloquent voice has been used as background vocals for Bela Fleck, James Taylor and Edwin McCain. Colvin has showcased her simple, emotionally charged songwriting skills and warm seductive vocals on nine albums, including "Polaroids: A Greatest Hits Collection" and latest effort "These Four Walls."